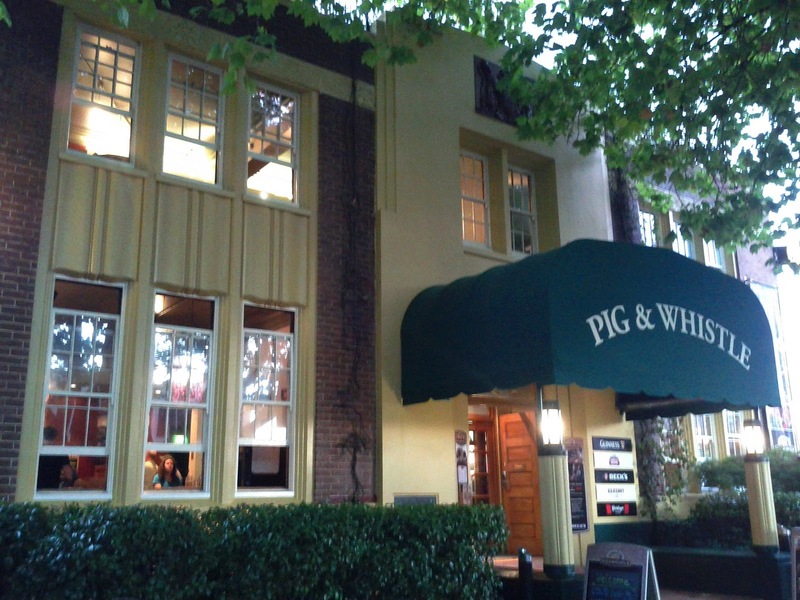 The "Pig and Whistle Historic Pub" is cheekily named after it's former role as a Police Station. The building is striking although the trees around it soften its impact compared to some of the earlier photo's of it on display inside. 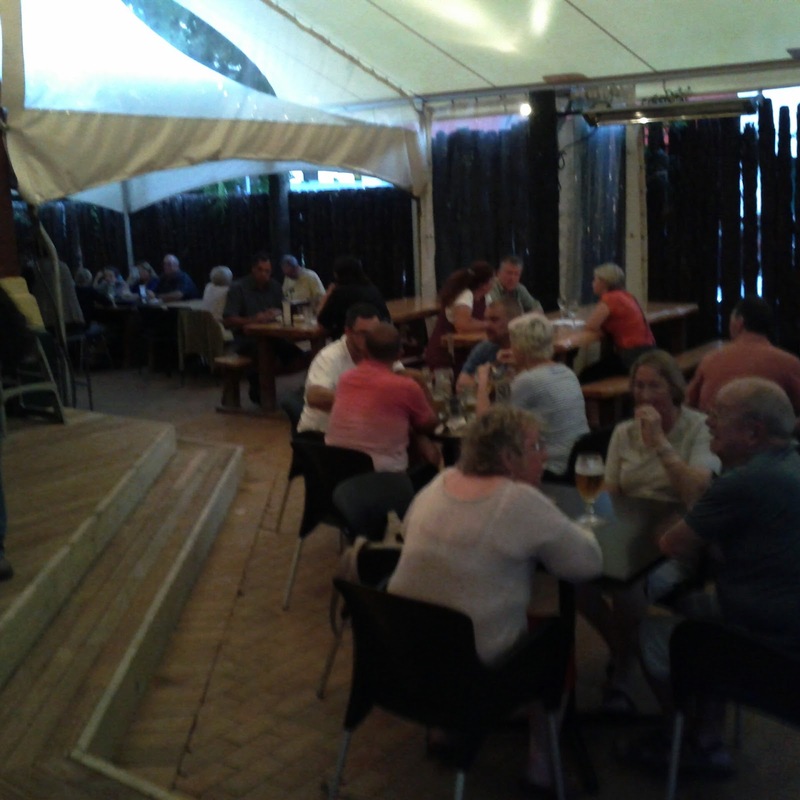 We went through to an outdoor covered area towards the back and got a seat and the area soon got fairly busy. 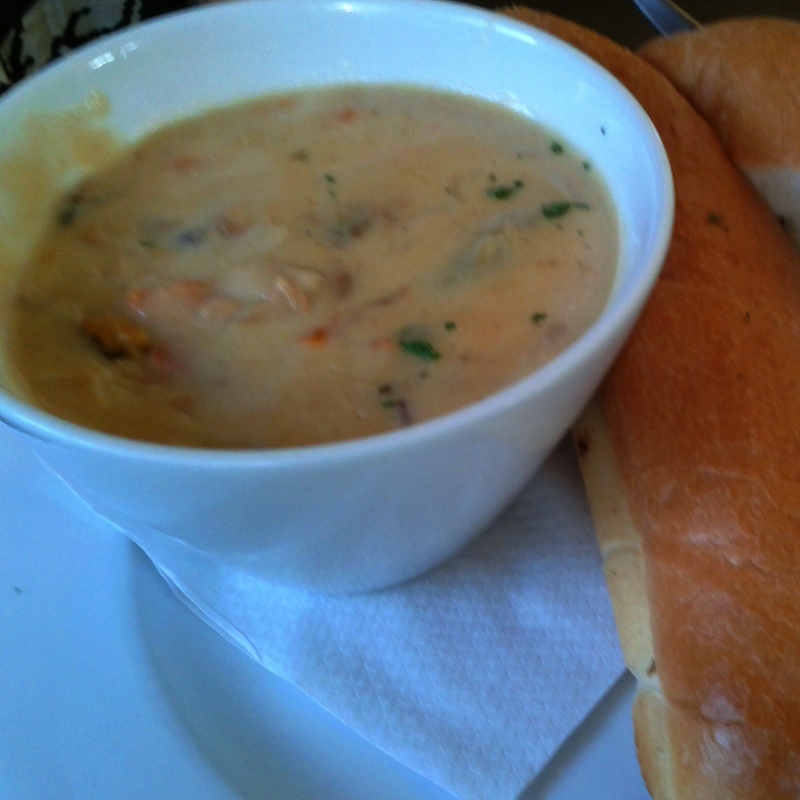 The seafood chowder went down well and came with a giant baguette. 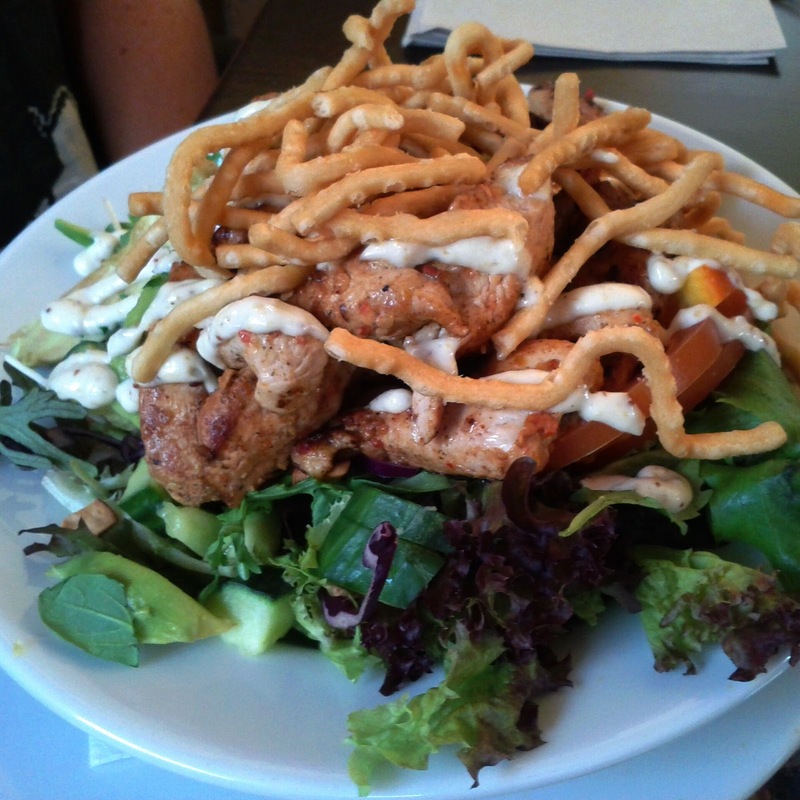 The harissa spiced chicken came on a salad of leaves, asian 'slaw, avocado and cashews, topped with Crispy Noodles. 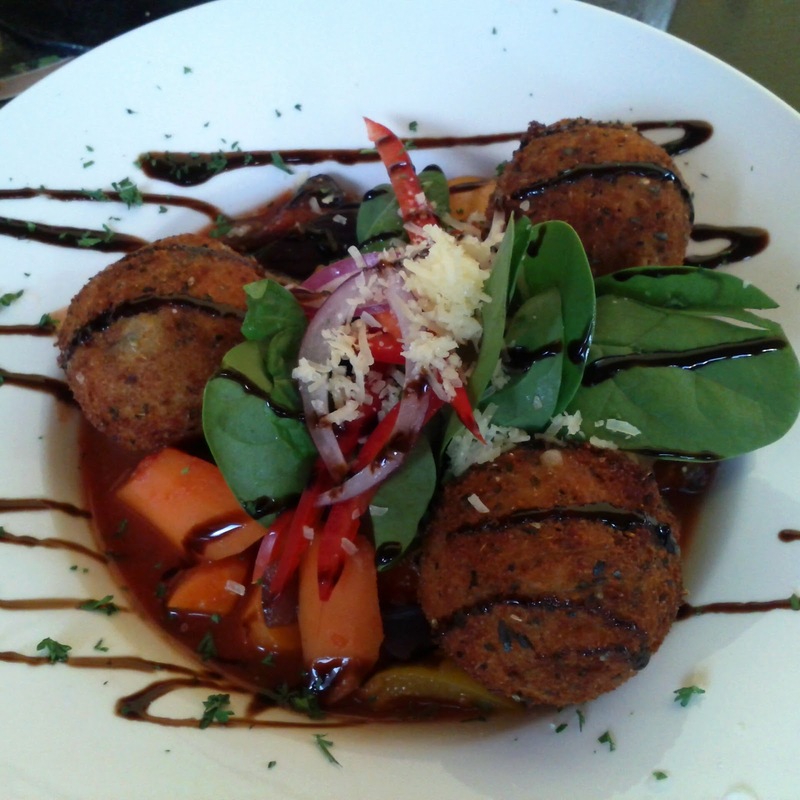 Overall the food was fine without blowing us away, the service was good, and I wouldn't object to going back.